When it comes to being in tip top condition, we work hard to achieve the very best for our bodies. Diet and exercise are top our list for maintaining good health and strong bodies. However, most of us may want to treat our bodies like a temple, but find we have little weaknesses and temptations we give into once in a while. For most of us, we cannot resist the temptation of a choccy once or twice a week. For some of us, we indulge on a daily basis, and it makes us feel good. Generally speaking, most chocolate will do little permanent harm but can certainly cause some frustration if you are trying to lose weight. 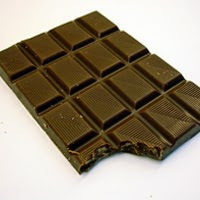 While dark chocolate is heralded as a healthy treat, there are still a substantial number of ‘empty’ calories for each bite. Most detrimental to your health is the sugar content. This will cause an imbalance in your body until it has been digested. You will suffer the sugar high and sugar low, which can affect your mood and your motivation. Tobacco has been known to cause cancer and death for a long time. Sadly, smoking cigarettes can also cause damage to your body affecting your ability to exercise to your full capacity. Your lungs will feel clogged, affecting the effectiveness and deepness of your breathing. From running to Yoga, all of your activities will be affected by this. You may also suffer addiction to the nicotine content. There are plenty of options for quitting from patches to gum. You can even try the best e-liquid solutions to help you feel better about having to give up this particular guilty pleasure. While small quantities have been hailed for their heart health benefits, alcohol in any quantity can affect the quantity and quality of your sleep. Once your sleep is out of its regular cycle, you find you are less able to accurately predict how your mind and body will respond to your exercise requirements. Alcohol is great for helping people relax and loosen their social boundaries, but with the very real risk of addiction, it is better not to indulge. Alcohol will also dehydrate you, and the extra calories will cause weight gain. Having a takeaway makes life so much easier. The convenience and speed are so handy when you have had to work late, or the kids have worn you out. The trouble is, digesting something so different from your routine diet can slow your entire system. It is rare to calculate the calories you are consuming so you can then burn it off later. The fat content is the biggest worry. If you are on a lean or low-fat diet, takeaway food needs to be a big no-no. Extra cholesterol is included free of charge, and can cause serious harm. Enjoy what you eat, but take care where it is from.